I've written my love letter to Manchester before, time and time again. The truth is, I love this city, and I love it more than any city in the world. Manchester is my home, and moving a handful of miles out of the centre is not going to change that. There are still so many places I'm yet to explore (I have a list of places I haven't yet visited and things I haven't yet done) but I think I've done pretty well over the past few years. So here are my favourite places in the city. Maybe not the best places, but my favourites. The places I will go to again and again, the places I'll excitedly take people to and be excited to show them off. These are the places that represent my city, and my memories, my experieces of it. Some of them I've only recently discovered, and some I've been going to for years. 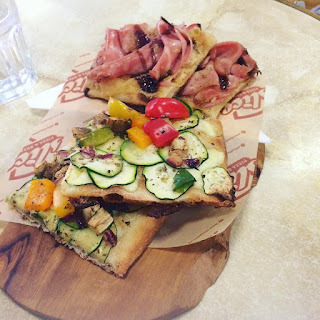 I've split them into lunch and coffee places, dinner, drinks, culture and shops, although I admit there's a bit of crossover in a few categories, especially dinner and drinks, but I tried to fit them into the categories that make the most sense to me. 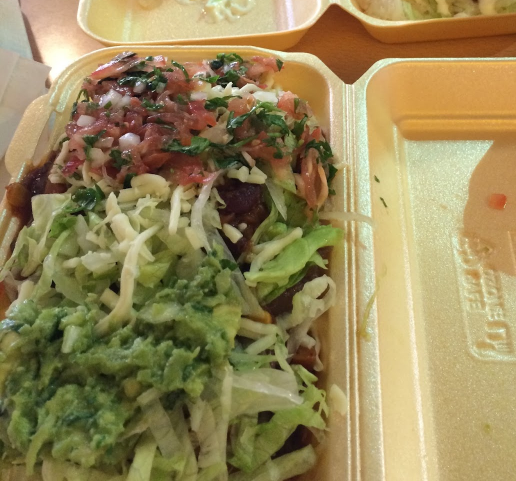 Our flat is located in a beautiful triangle of burrito places. Within a 5 minute walk, we have three burrito places. Changos is Phil's favourite, and Panchos is mine. In fact, a Panchos burrito bowl was my first meal after my marathon! There are actually two Panchos branches in the city (I talked about the Arndale market one in this post edit: Unfortunately, Splendid Kitchen has since closed, which is such a shame because it used to be one of my absolute favourite places), but we favour the Quadrangle one, purely because it was just around the corner from our flat. I love the gigantic portions, and the fact that veggie option isn't just guacamole (looking at you, Chilangos). We always go for bowls because you get more than in a burrito, and I always get the veggie chilli. 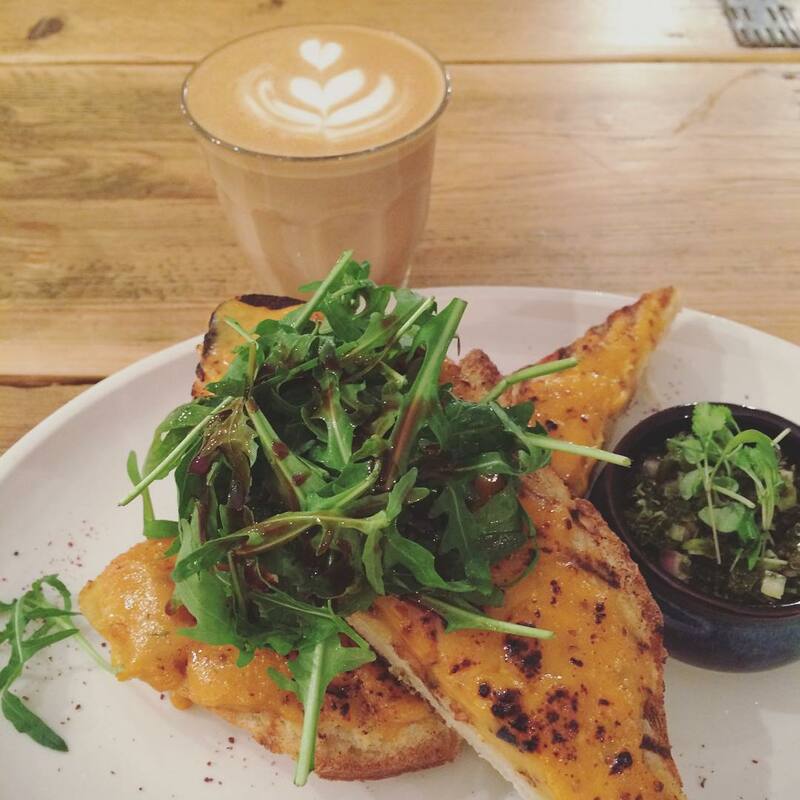 My favourite brunch spot, but you've got to be prepared to wait! 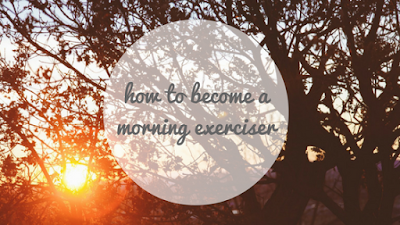 On a Saturday or Sunday you're looking at a wait of at least 45 minutes to an hour, so get your name on the list and kill some time, it's worth it. Moose is all about American and Canadian-style breakfast, from eggs to waffles. 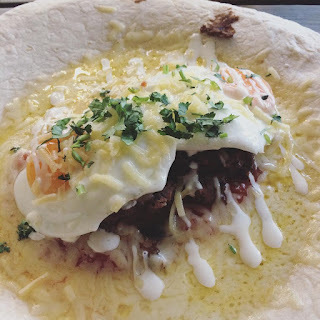 I'm not a fan of a sweet breakfast, so I usually go for the Manolito (my absolute favourite, the Burrito state of mind, has sadly departed the menu) or the Bronx Burnch Green Line. A blink-and-you'll-miss-it stall just outside the Arndale, this started out as a popup before becoming permanent. The most delicious grilled cheese sandwiches you'll ever have in your life. Choose from loads of fillings or keep it classic with just grilled onions. It's quick and dirty and delicious, and they change their menu every few weeks. 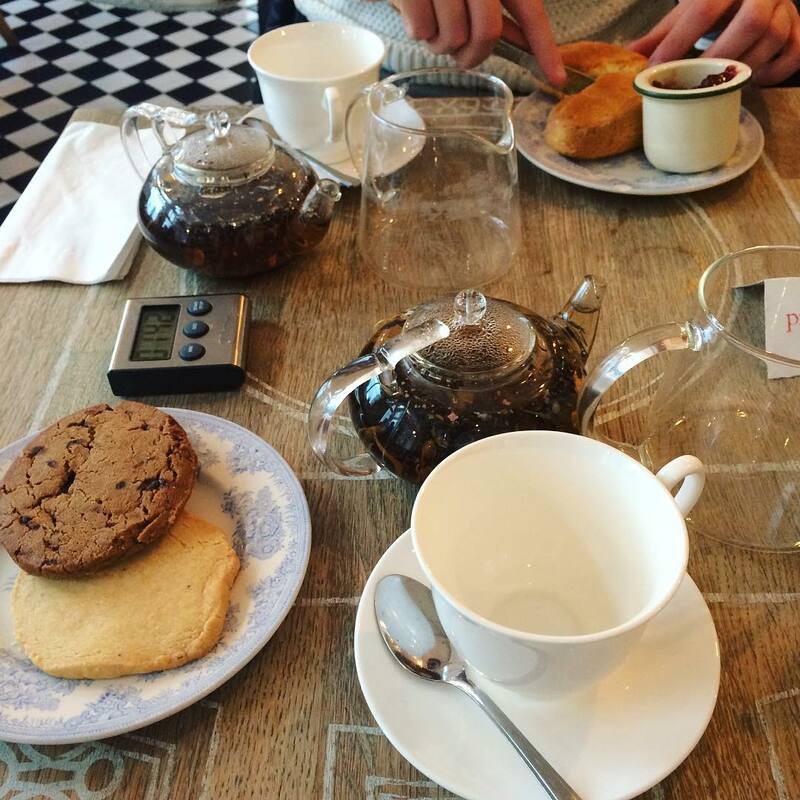 There are lots of places in Manchester for great tea and cake, and Proper Tea is no exception. Not the easier place to find, round the back of the Cathedral, but I love their tea-and-biscuits deal (Morning Tea), which includes a pot of tea and two of the nicest biscuits ever. 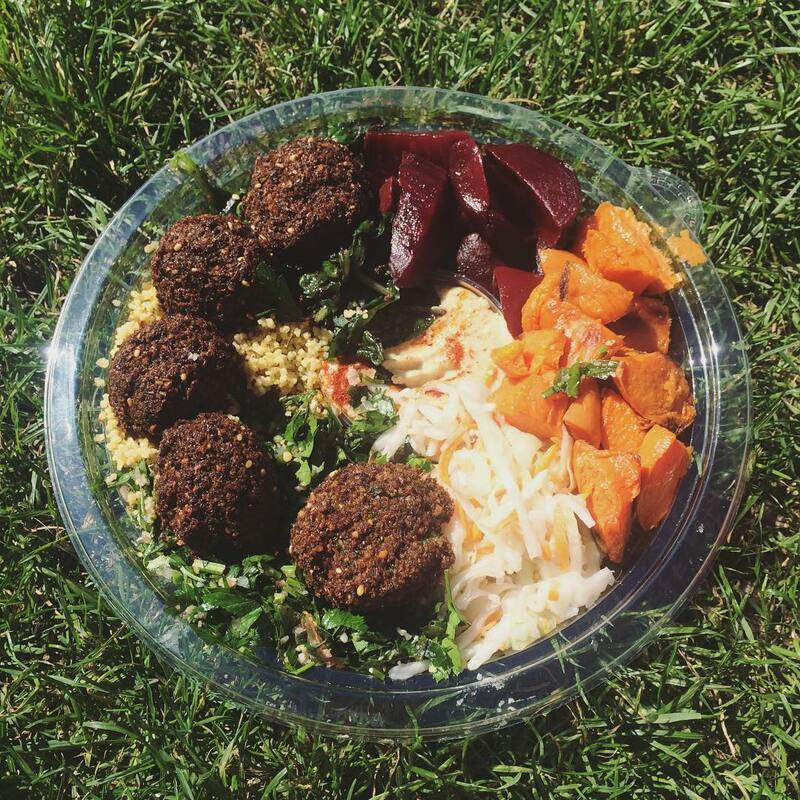 Perfect veggie and vegan fare just round the corner from Picadilly Gardens. I get a falafel bowl with everything, and it comes with houmous, tabbouleh and more salads than I can name! I've written about Ziferblat before because it's just lovely. Pay per minute and enjoy as much tea, coffee, cake and cereal as you like. It's like walking into someone's living room, I just love it. You'll need your GPS on your phone to find this one, but just down the back of a dodgy-looking alley is one of Manchester hidden gems. This and That cafe is a Manucian institution, and for good reason. It looks absolutely nothing from the outside, but once you go in there is bound to a queue for the caferia-style curries. Get 3 veggie curries and rice for just £3.90, or a maximum of £6.50 for three meat curries. The menu changes every day, so you get something different each time. We got two heaping platefuls (three veg for me, two meat and one veg for Phil), two cans of soft drink, a garlic naan and an onion bhaji for £12. It's both filling and delicious and I cannot wait to go again. Don't judge a book by its cover! 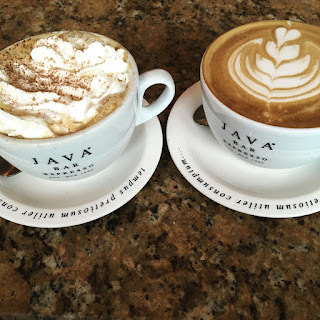 Just on the approach to Oxford Road Station is a lovely little coffee shop called Java. I love it as respite from the two Stabucks' and two Cafe Neros in the surrounding area. 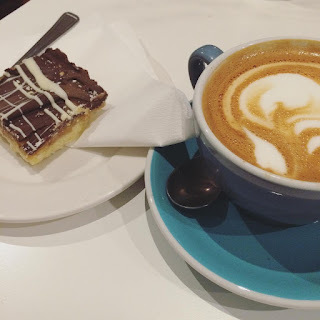 It's a bit of a hidden gem and it's a lovely, quiet spot for a coffee and a catch up. 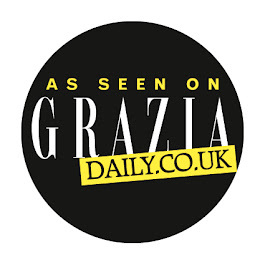 They do serve food but I've never eaten in, though the Greek mezze on the menu sounds incredible! 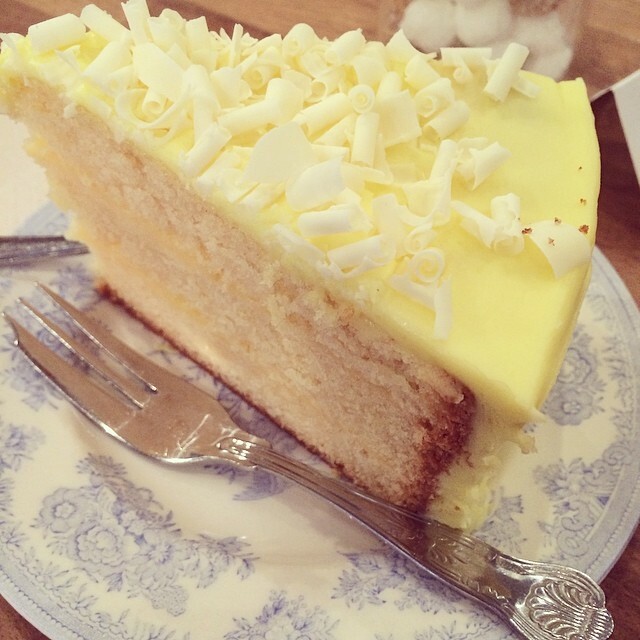 If I'm going to have cake, I'm going to go to Teacup. One of my favourite places for lunch (I love their fish fingers sandwiches), cake and tea in a pot, Teacup is another Northern Quarter institution. Pop in and please get the Rainbow cake because I've always wanted to try it. Slice does exactly what it says on the tin. Cheap, but great!, slices of pizza, and excellent ice cream. Perfect for when you want a bit of a snack after a hard day's shopping. 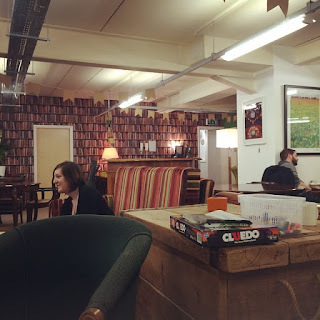 Super pretentious hipster heaven, but I kind of like it, Takk could not be more Northern Quarter. I guarantee whoever serves you in here has a beard and is wearing a check shirt. BUT I had an amazing Welsh Rarebit in here once that I'll never forget, so this is one of my favourite places to meet friends, especially as it's super close to Piccadilly. 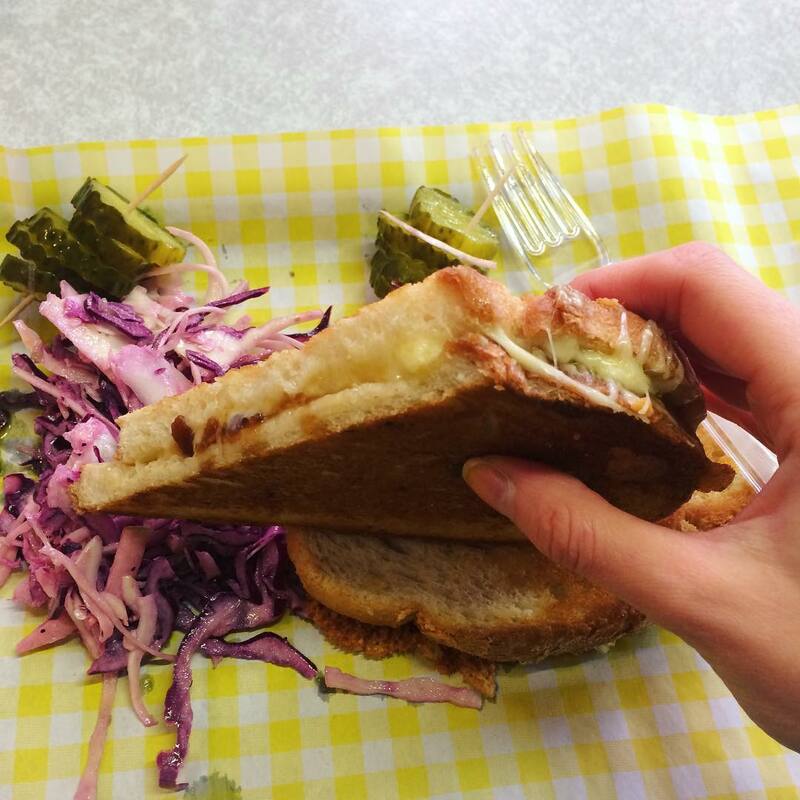 A sandwich here has been proclaimed by Phil to be "the best sandwich I've ever had in my life" (it was a reuben). I love sitting outside of here in the summer with a latte and some millionaire's shortbread. I reallu, really, really love the Corn Exchange. It's such a lovely spot in the centre of the city with some of my favourite restaurants, and they've done such a great job of transforming this empty space into something amazing. Mowgli is one of my favourite places. 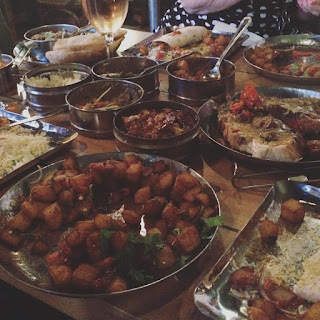 It's all Indian street food, like Indian tapas, and everything is delicious. I really love the Indian chip butty. 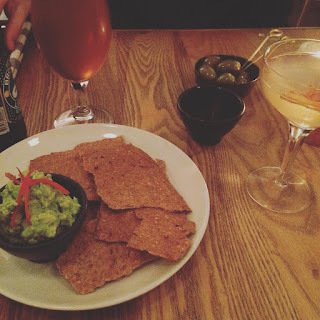 Sandinista is a cool little Spanish bar just off St Ann's Square, and I love it for a cocktail or for tapas. 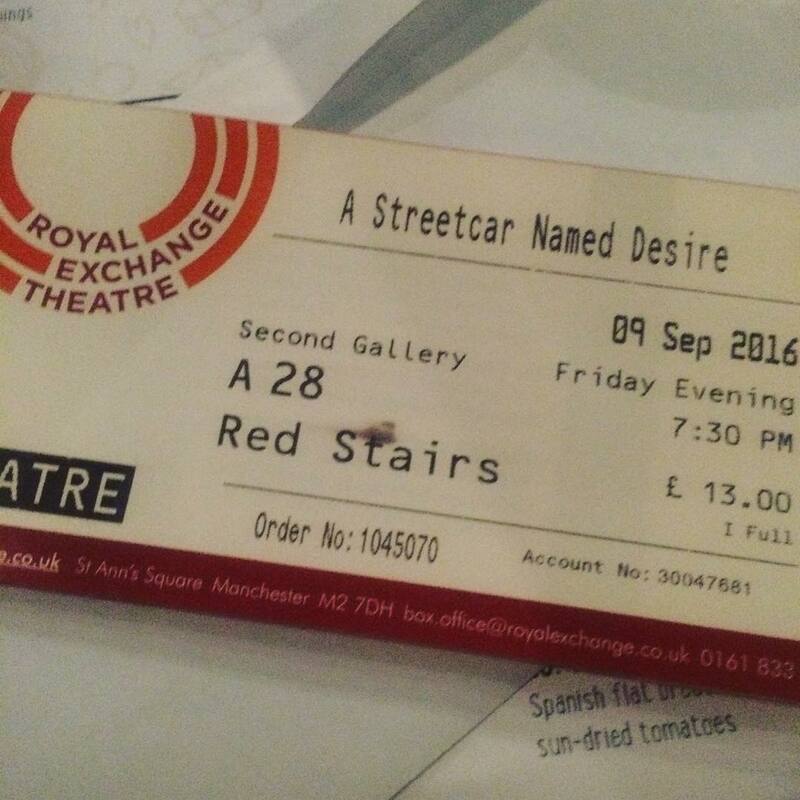 It's perfectly located from the Royal Exchange Theatre, and they do a discount if you show them your theatre ticket. Artisan is pretty much the "fanciest" place on my list. Phil and I went here for our anniversary a few years ago! The food is fab, I love the decor and it's just generally a really cool place for a special occasion. 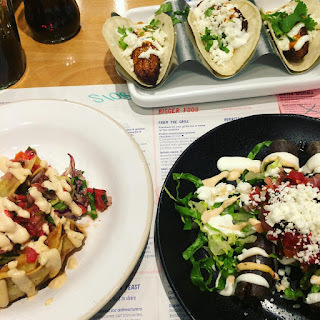 Okay, I know it's a chain, but we've only had Wahaca in Manchester for a year or so, and I absolutely love it so it deserves to be on the list! Just the best Mexican street food - I especially love the crispy prawn tacos and sweet potato taquitos. Also in the Corn Exchange, like all my favourite places! 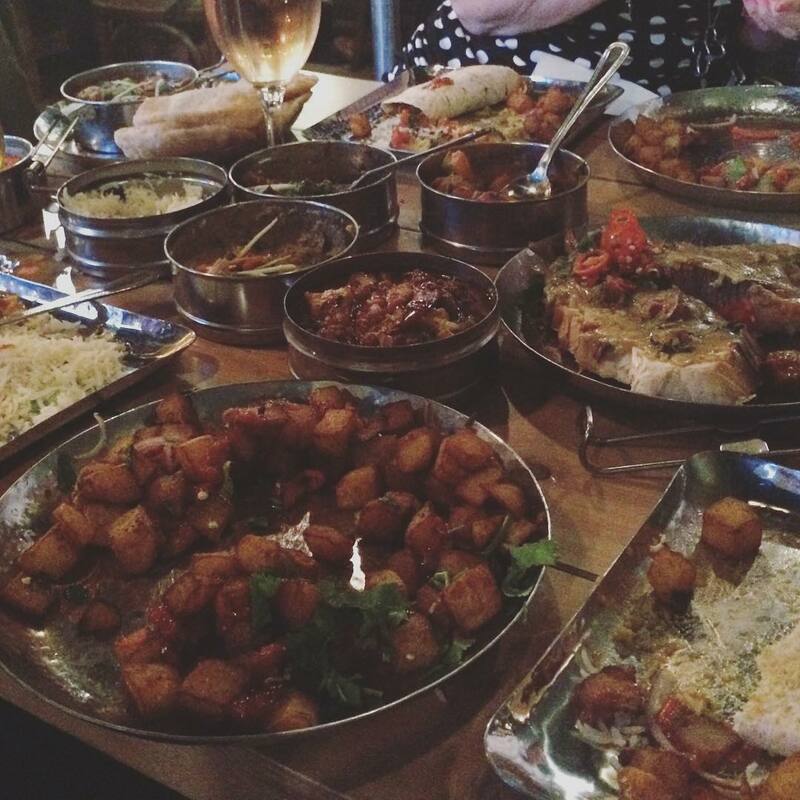 You can't visit Manchester without a trip to the curry mile. Mughli is our favourite place. 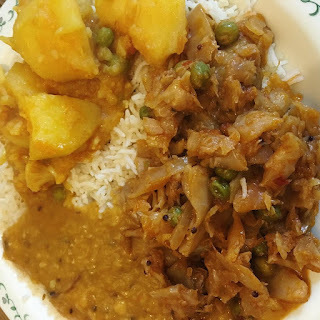 It doesn't have an extensive menu like most curry houses, which put us off at first, but then we realised it's because they have a real expertise in some top dishes. A bus out of the city, or a decent walk, but well worth the trip. 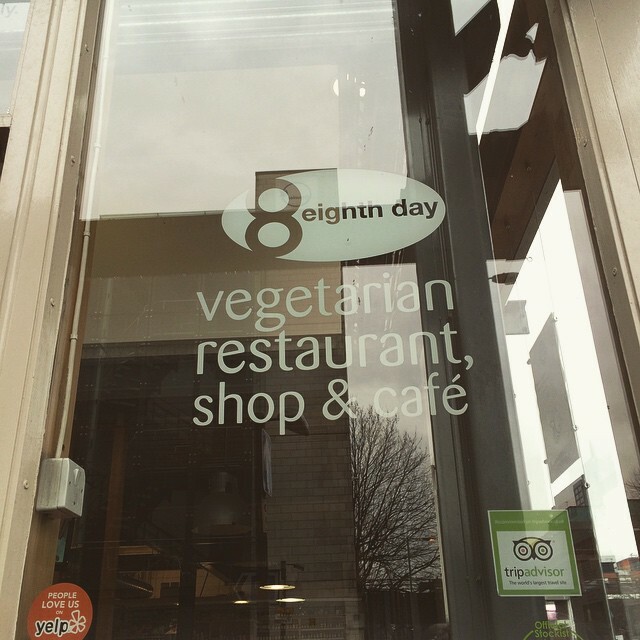 We went here this year for our anniversary, and I love going somewhere with healthy, tasty food. I haven't been for brunch, but it looks fantastic! 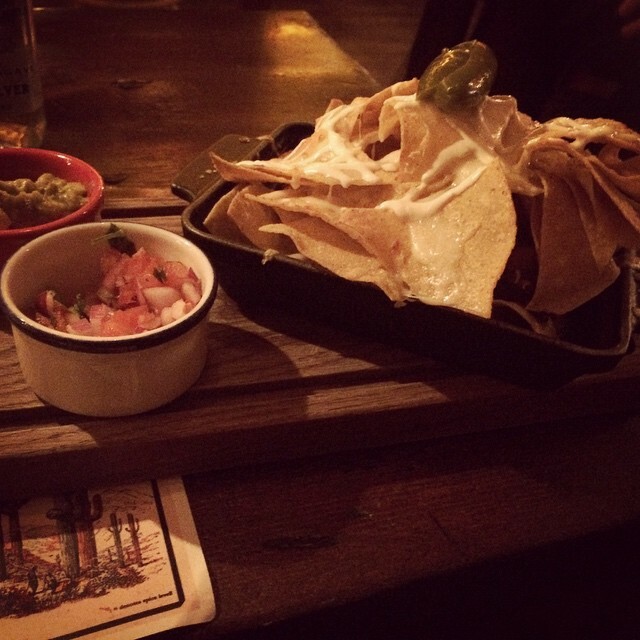 My favourite dark, dingy taco bar for big plates of nachos or tasty Mexican tapas. It's a great little tequila bar - super cool, super dark, great food and drinks. Pop into Kosmonaut next door after for a cocktail! Rudy has become a bit of an institution. 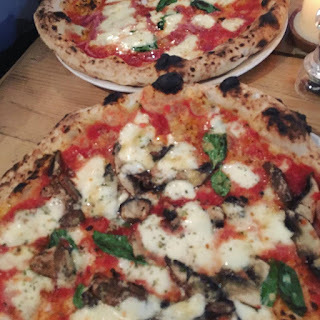 It's made such a name for itself as "the best pizza in Manchester" that they are constantly turning people away or instilling long wait times. 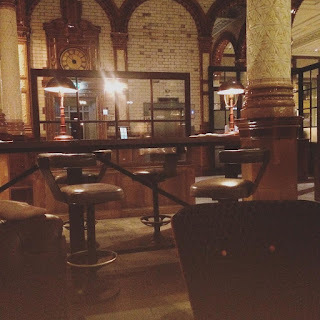 Admittedly, we made the mistake of going on a Friday after work, and at 6.45pm were told it was an hour and half wait, so we popped across for a drink at Seven Brothers, then after an hour and a half we nipped back and were told it might be another hour. After half an hour in another bar, we got a call saying it would be another half an hour, and finally, after two and a half hours we got our table. Was it worth the wait? Yes. Would I wait again that long? Probably not. But it is unbelieavale pizza and I have no regrets, but the hanger when you don't have dinner til 9.30pm is real. 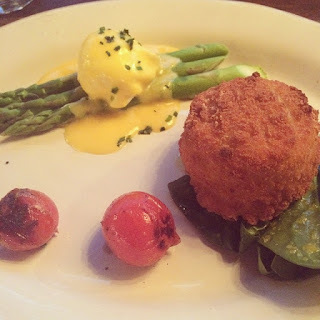 Solita serves the kind of food that is dirty and ridiculous and delicious and damn right dirty. Home of the Big Manc, it's a carnivore's dream, but they also have a great selection of veggie and fish options. Solita is the place for a real delicious blow out! I LOVE Crazy Pedros! They have two sites now, the original in Spinningfield and a new one in the Northern Quarter. Only go during happy hour, which is 5-9pm Sunday-Friday. 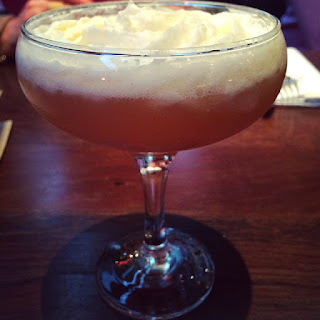 Cocktails are 2 for 1 (and they're delicious and surprisingly strong!) 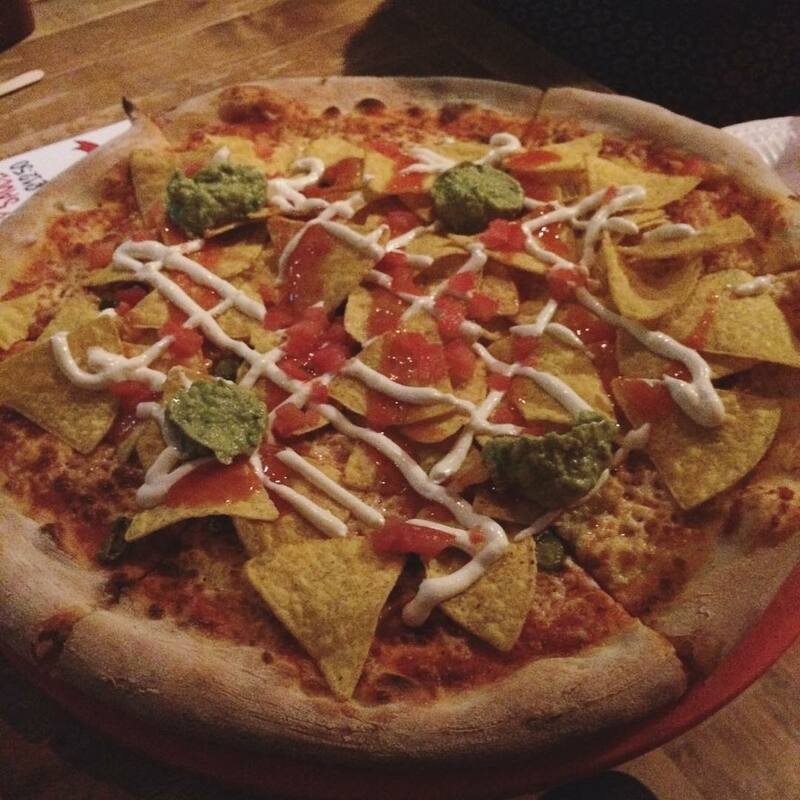 and pizza slices are £2 or pay £10 for a whole 16" pizza. They have a special every month (the Dirty Northener, which came with chips and gravy on top, was a bit weird) but the Nacho Libre is my favourite, due to being a pizza with nachos on. Font Bar used to be my bar of choice when I was 18 before walking across t0 Fifth Ave in heels I couldn't walk in. But I've recently rediscovered how great it is, because £2 cocktails are great whether you're 18 or 26. 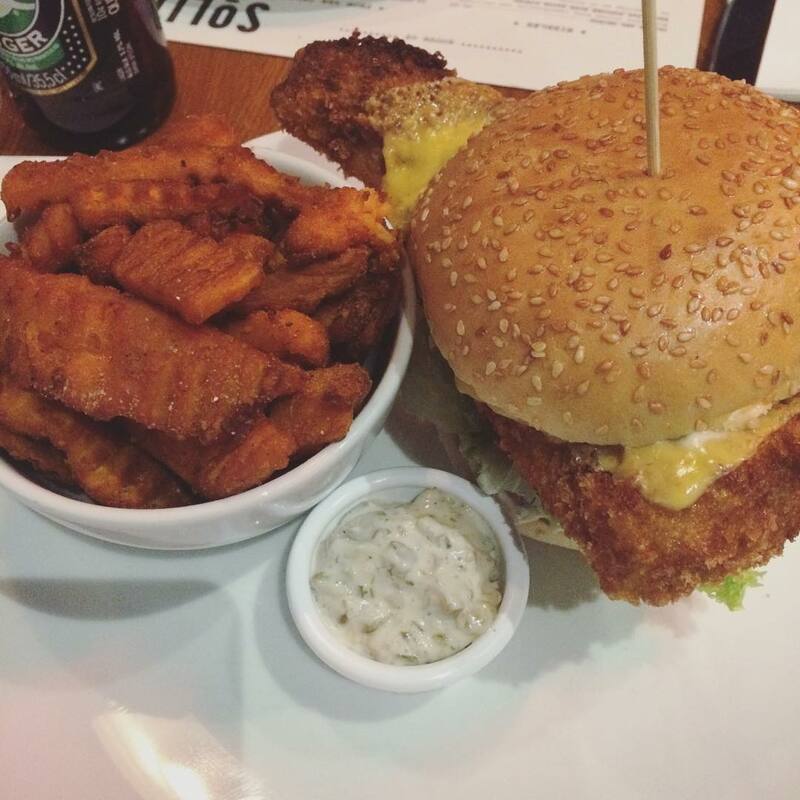 Also the food is actually pretty good, and they often have a DJ on at the weekends, so I'm not embarrassed to put this on my list. Okay maybe a little bit. Hula is a tiki bar in the Northern Quarter, where you can get flaming (literally!) zombies, which I'm not sure pass health and safety in a bar which is covered in straw. But it plays 90% R'n'B and does great cocktails, so what more could you want? Refuge recently opened just around the corner from us, which is really annoying right before we move out because it's AWESOME. It's part of the fancy-schmancy Principal Hotel, and it's decor reminds me of the Overlook in The Shining. 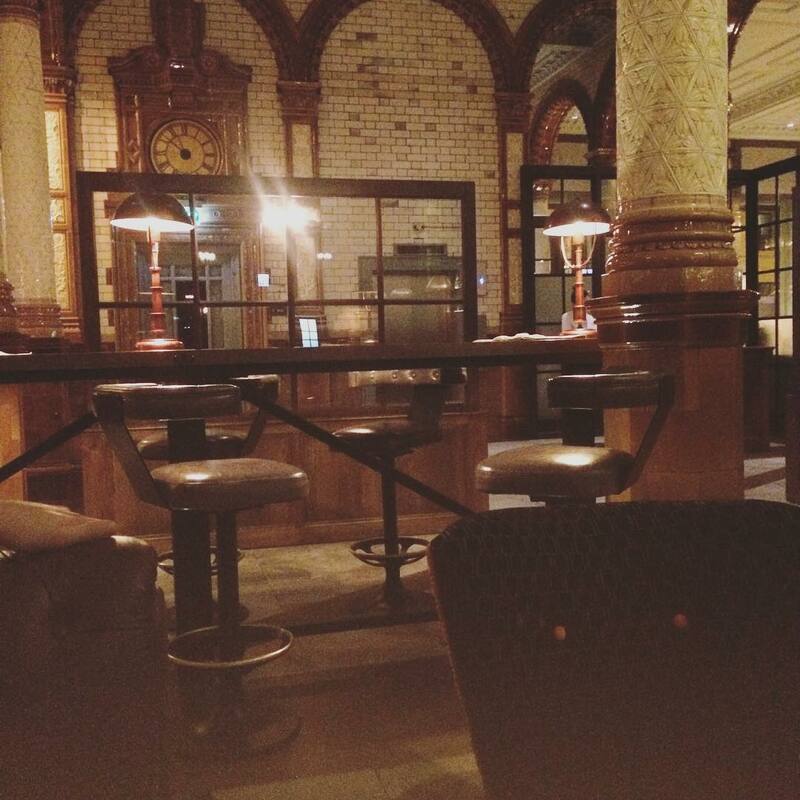 It's a really smart bar, equally great for a latte and also for a gin and tonic. It's the kind of place I need to take my Mum. Fitzgerald's is a 1920s themed bar, which I think is a bit of a hidden gem, hiding down an alley at the side of Hula. It's all decked out in flapper style, and shows black and white films projected onto the wall. It has an amazing cocktail menu and is just a really unusual spot for drinks. My friends loved it here! The Alchemist is in no way unique to Manchester - and we have two! - but I love the crazy cocktail concoctions with dry ice and foam and colour-changing madness. Definitely worth a visit if you love cocktails. 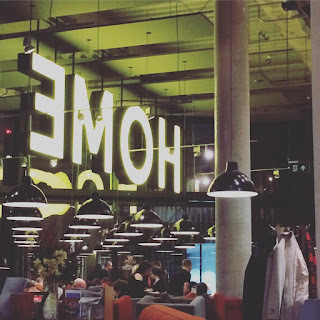 Home is one of my absolute favourite places in Manchester. It's an independent cinema, theatre, restaurant, gallery, bar and cafe all in one. 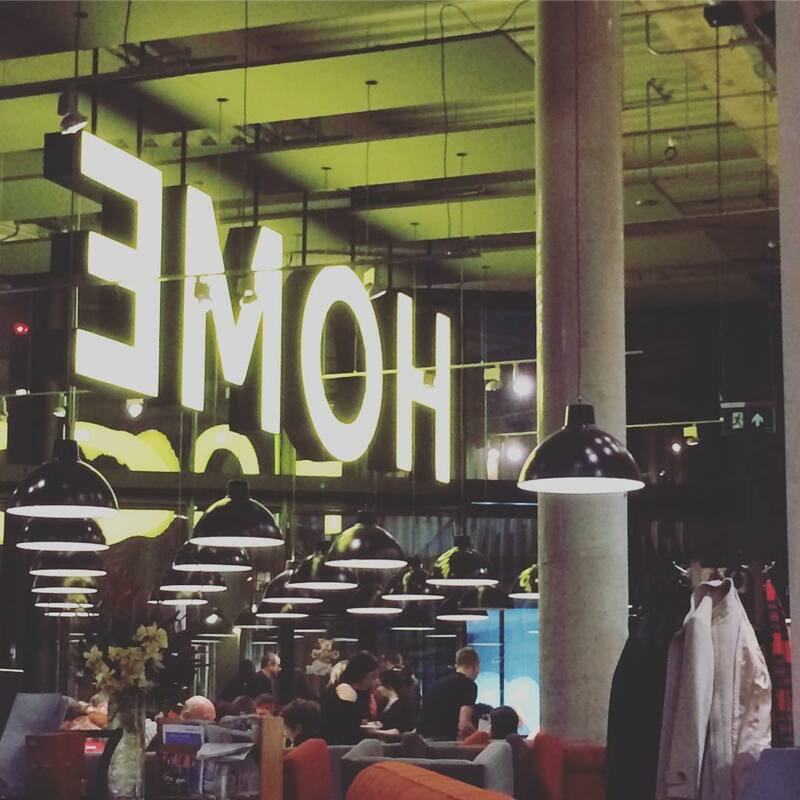 We were pretty gutted when The Cornerhouse closed two years ago, but Home is a brilliant substitution. I love seeing films here because it's such an intimate space, but it's also great for a drink and the restaurant is fantastic (get the veggie burger!). I'll really miss having this around the corner. Despite having a Cineworld Unlimited card, I have a huge appreciation for the other cinemas in Manchester, and along with Home, I love the Great Northern cinema. 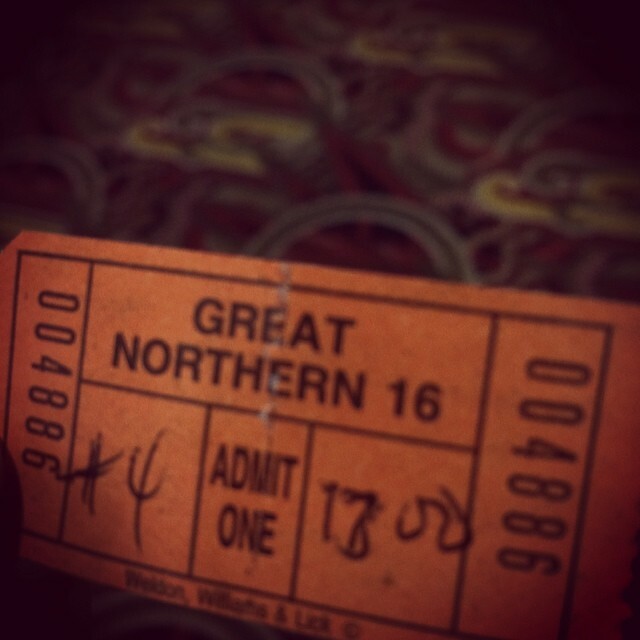 You get a proper old-fashioned ticket stub, and it has that quiet, classic cinema vibe that I love. 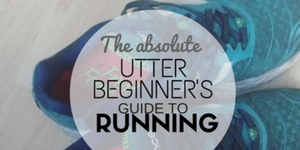 Despite living in the city and growing up down the road, I am always trying to learn new things about Manchester. So one of the things I was desperate to do when was a Manchester walking tour - we do them in every city we visit, so why not in our own home? The Manchester walking tour is excellent. It lasts three hours, with a break in the middle, and is "free" and all done on tips (just like the Sandeman tours I love in Europe). It's well worth doing whether you're from Manchester or not - you're bound to find out something new! 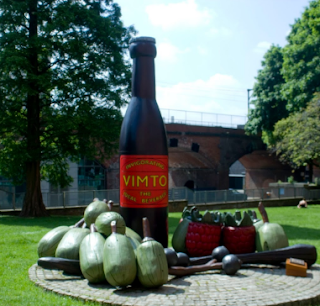 Did you know Manchester is the birthplace of Vimto? Yep, we have our very own statue dedicated to it too! It's one of my favourite things in the city because I had no idea about it until a few years ago! 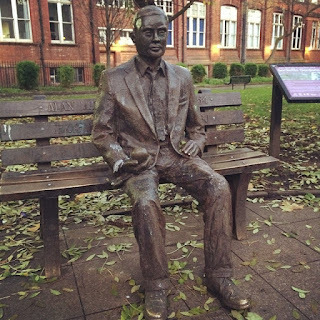 Alan Turing is a hero that Manchester has really adopted as its own, and there are references to him all over the city, especially around the university. 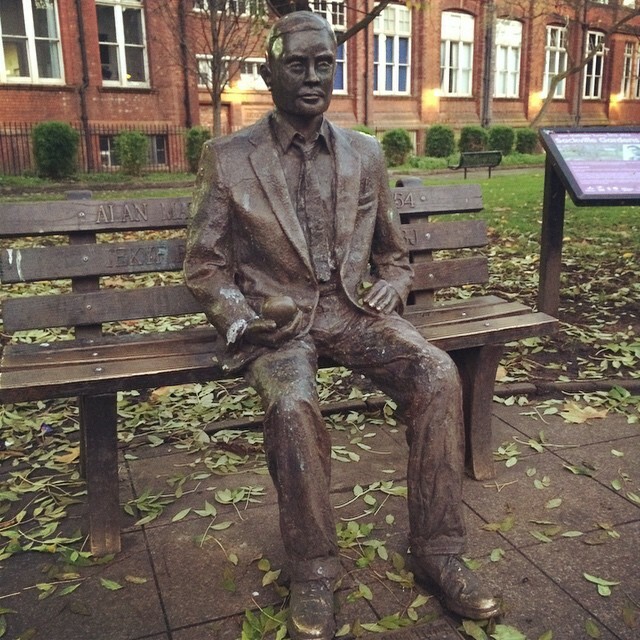 On Whitworth street there is a tiny park with a statue of Alan Turning sat on a bench, sitting right between the Gay Village and the University. It's a lovely tribute, and one of my favourite spots. It's well worth a visit if you are in the city. We do pretty well for theatres in Manchester, with the Palace, Opera House and Lowry, but the Royal Exchange is by far my favourite. It's a very intimate-feeling theatre in the round, so you can see everything and everyone at all times. I've seen some amazing productions here, but the best has got to be Maxine Peake's A Streetcard Named Desire last year. It was also here, three years ago before we went to see Sweeney Todd, that Phil asked me to be his girlfriend. When I worked in the city centre, I used to go to Central Library to read nearly every lunchtime and I miss it so much. It's recently been renovated and it's absolutely stunning. 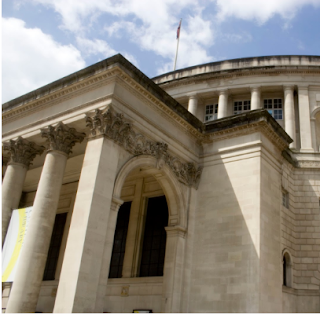 Plus wikipedia just informed me that is the second largest public lending library in Britain, so that's cool. It's probably my favourite building in the city, and I miss my lunchtime reading sessions there every day! 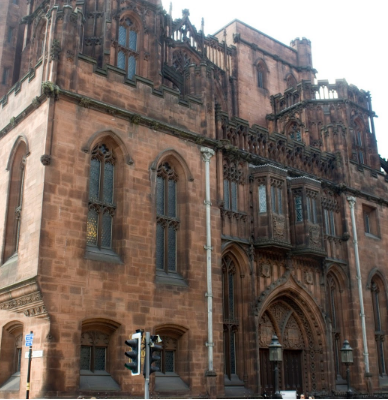 I ran past John Rylands library for months before I knew what it was, which is strange because it sticks out like a sore thumb! Although a sore thumb it is not. The John Rylands library is the most stunning Victorian gothic building nestled between all the bars and restaurants and pubs of Deansgate. The inside is a oxymoronic mix of classic neo-Gothic and ultra modern. It's free to enter and well worth a look around. We used to go the Museum of Science and Industry on school trips almost every year when I was at school, and I still haven't lost my love for it. Every time I visit a new memory will pop up and I'm filled with nostalgia. But it's still as amazing a museum now as it was when I was a kid. I always remember the area with the trains and having to sketch them for school, and I recently learned they are on the site of the world's first railway station! It's also free to enter, and it amazing for kids and adults alike. When Phil and I first started dating, we had to visit the Richard Goodall gallery every weekend. It's a very contemporary gallery, with all the prints related to pop culture, mostly music and films. We would always pick out things we wanted to one day buy for our own place! 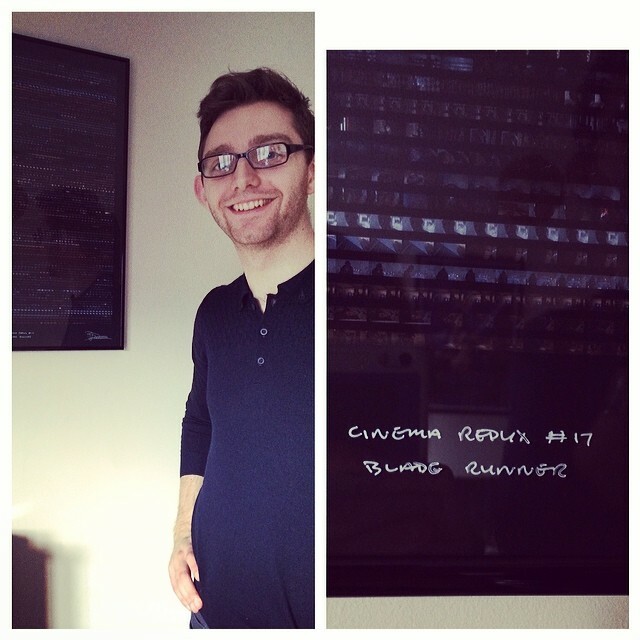 For Phil's birthday three years ago I got him the cinema redux of Blade Runner - a print made up of each one-second frame in the film, with each row representing one minute. If you're into films or music, save up your pennies and go in for a visit. I can't help wandering into Oklahoma whenever I'm in the Northern Quarter. But I don't know how I would describe it. Maybe a novelty gift shop? It sells everything you didn't know you needed. Like a Godzilla lamp. If you're veggie or vegan in the city, 8th Day is the best place to go to for your veggie needs, from nutritional yeast to vital wheat gluten to dates, nuts, brown rice syrup and vegan cheeses, this is the place to go. It also have a cafe downstairs but I still haven't made it in there for a visit! Of course, there are still dozens of places I haven't visit yet, including Chethams Library, The Manchester Museum and the Whitworth Gallery and I can't wait to come back into the city and visit even more places. I'm sad to be moving away from the city I love, but I know I'm only around the corner, and all these amazing places will still be there, plus, I'm sure, hundreds more! Want anymore Manchester recommendations? Hit me up on Twitter!